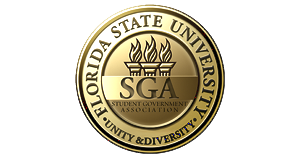 SGA offers many opportunities for Recognized Student Organizations to request funding. Please see below regarding how to request funds from SGA and be sure to read the Financial Manual and be financially certified! PAC Funding: The Programming Allocation Committee allows RSOs to request funds in the fall and spring semesters and can aid in covering expenses such as rental equipment, contracts, supplies, and food. Organizations must be recognized, financially certified and have submitted authorized signature forms to SGA in order to submit a request. RTAC Funding: The Resources & Travel Allocation Committee allows RSOs to request funds in the fall and spring semesters for travel to conferences, seminars, workshops, meetings or service trips and can aid in covering expenses such as registration, car rental fees, milage and lodging. Organizations must be recognized, financially certified, and have submitted authorized signature forms to SGA in order to submit a request. Organizational Fund Request: The Organizational Fund is $200 in start up funds for RSOs that have received SGA funds in the previous year. Funds are limited and allocated on a first come, first serve basis. Organizations must be recognized, financially certified, and have submitted authorized signature forms to SGA in order to submit a request. RSOs can request Organizational Funds beginning July 5, 2018 until funds are depleted. For a list of organizations who received funds, click here. Senate Funding: Student Senate can aid in funding events or projects in the summer or throughout the school year that fall outside of the scope of PAC/RTAC, or require additional funds. Organizations must be recognized, financially certified, and have submitted authorized signature forms to SGA in order to submit a request. Click here to contact a Senator to sponsor! COGS Funding: Graduate student organizations are encouraged to contact COGS regarding funding. Click here to learn more about COGS Funding opportunities.